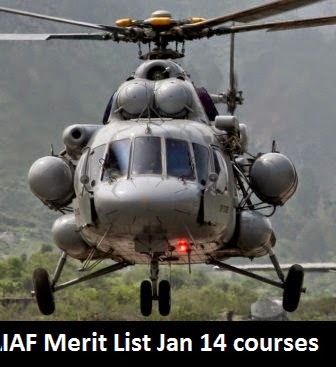 Recommended from AFSB board and looking for final merit list of IAF courses commencing in January 2014. Check out the final merit list of Indian Air Force here. IAF has released final selection list of 195 F(P) CDSE/NCC entry, 13 SSC men, 42 SSC Women flying course, 84 AEC / 56 SSC AE(L) / AE(M), 135 GDOC, 28 SSC men Administration 44 SSC women Administration branch courses. Indian Air Force has conducted SSB interviews for those candidates who have passed CDSE I 2013 exam and AFCAT 1 2013 exam. All shortlisted candidates were called for SSB interviews at Varanasi AFSB, Mysore AFSB, Gandhinagar AFSB and Dehradun AFSB. SSB interviews were held and few candidates were recommended by the AFSB officials. Among the recommended candidates, once again final merit list was prepared based on marks scored by recommended candidates in their SSB interviews. Today, IAF has published the final results of CDSE 1 2013 and AFCAT 1 2013 exams.